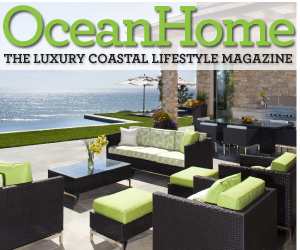 Everything Coastal....: Have You Met our Lobsters? Have You Met our Lobsters? Lobster Fun! 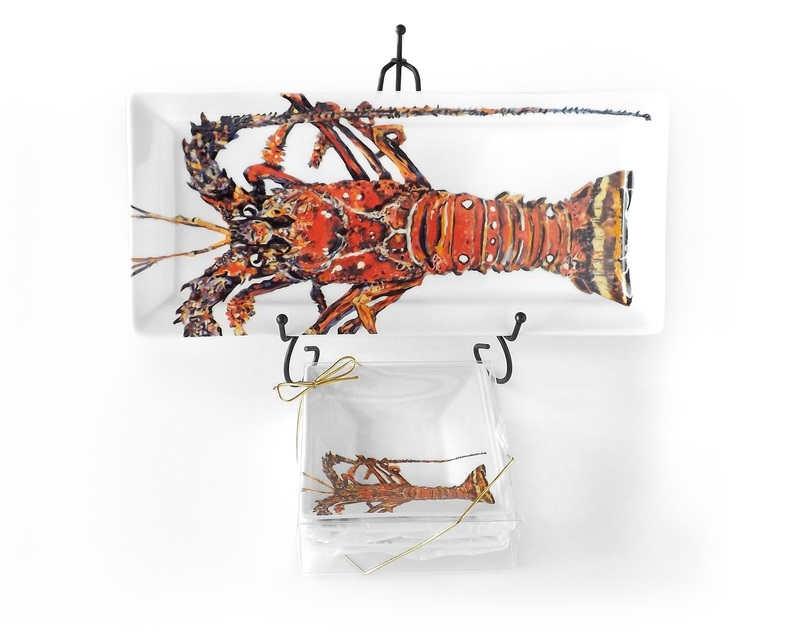 We are big fans of lobster dinnerware and glassware - perfect for showing off your entertaining, and gourmet skills to your guests at your coastal home. Might be a fun idea for a holiday party too. 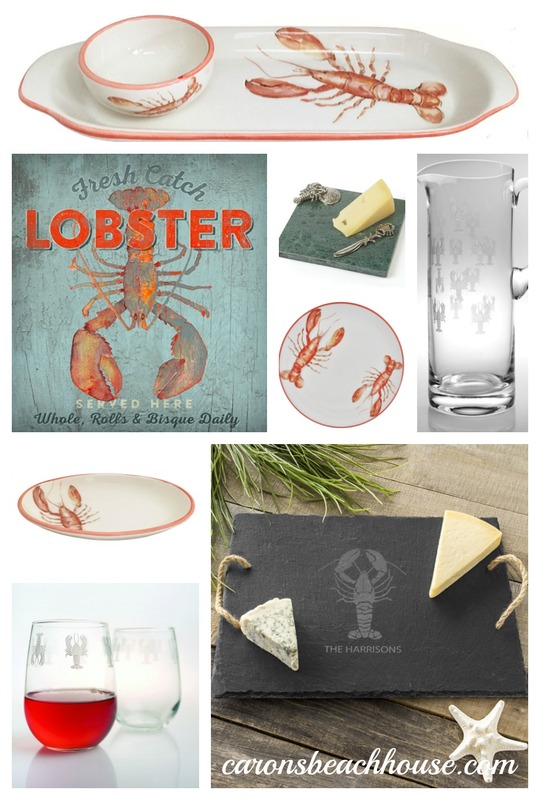 Take a peek at our Lobster Pod glassware and our favorite Italian Dinnerware from Abbiamo Tutto. 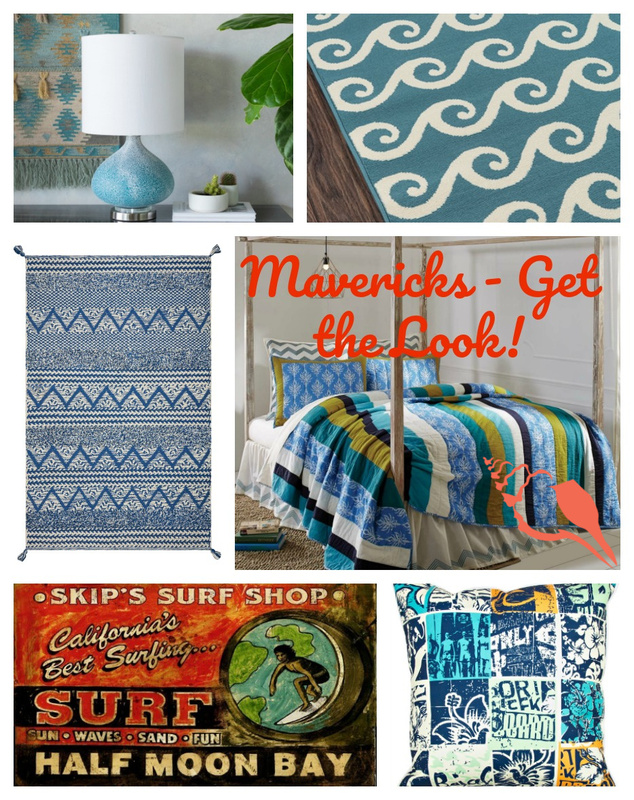 The pieces coordinate perfectly together! 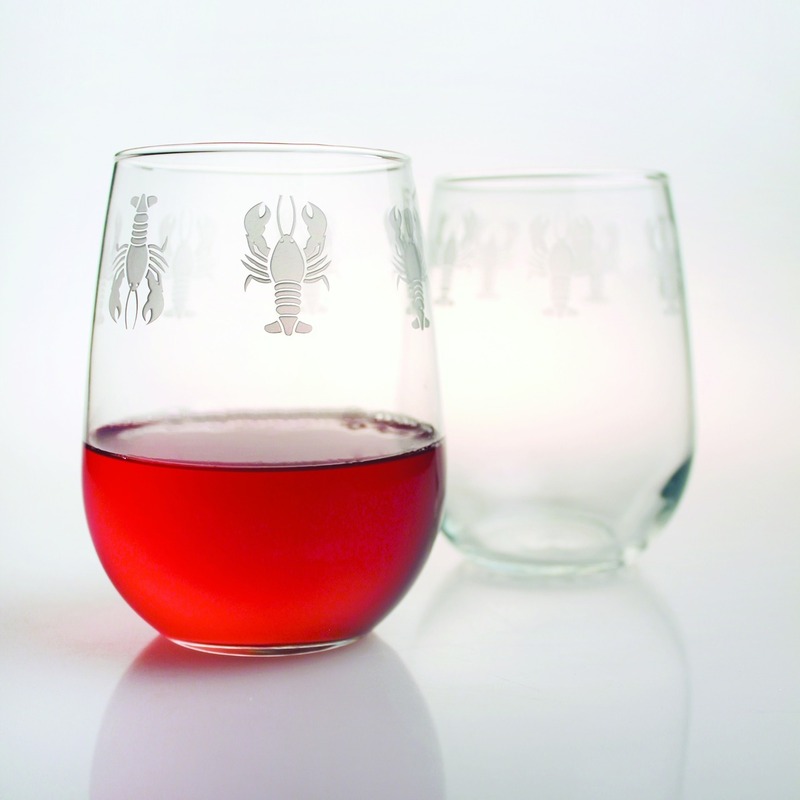 We LOVE these lobster etched glassware and barware - perfect for entertaining and gift giving! If you take special notice there is always one little lobster that insists on going his/her own way. 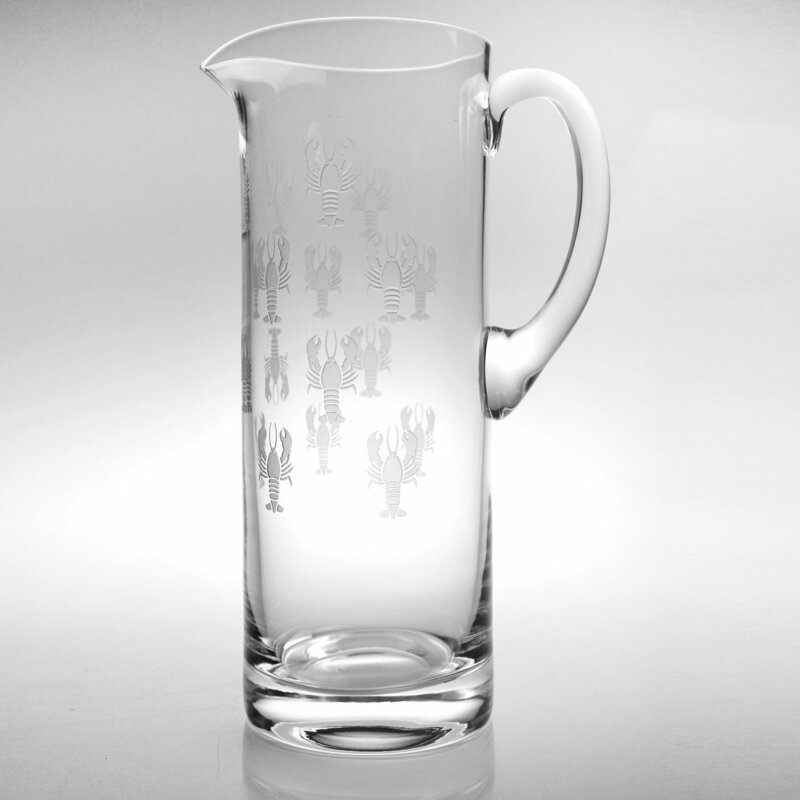 All are deeply etched and polished with fabulous detail. 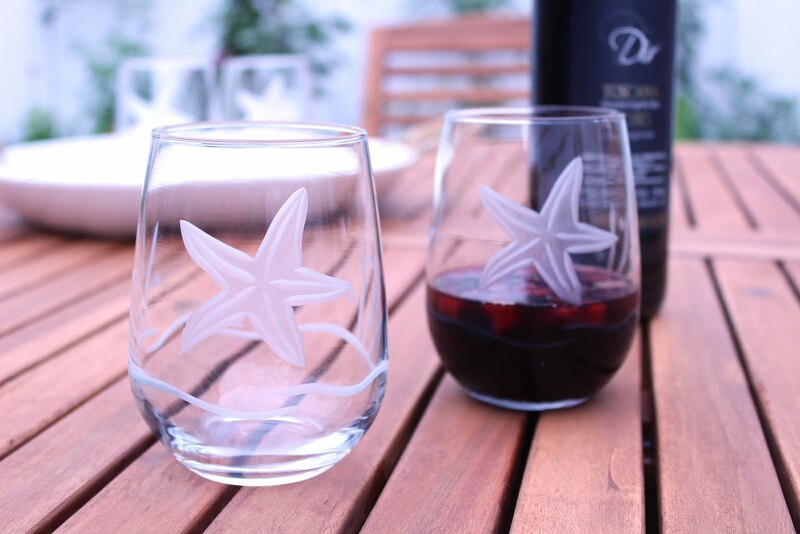 We know you will love them too - delicately etched with pretty details, but still durable and dishwasher safe. 2. 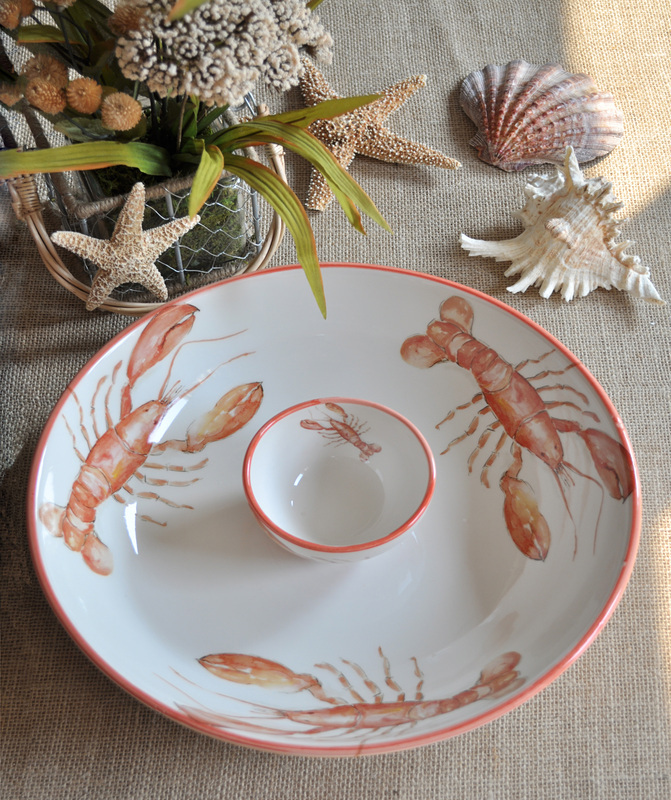 This gorgeous hand-painted Lobster - Aragosta Italian dinnerware is pretty hard to resist! 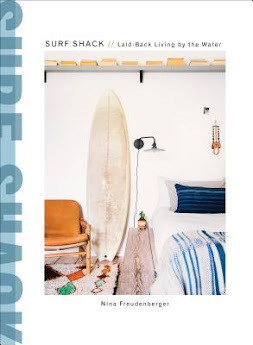 Not only beautiful, but super functional and so easy to take care of. 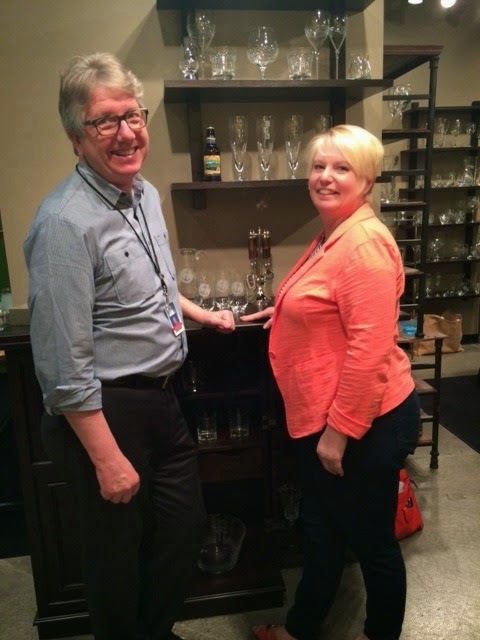 These dinnerware pieces will actually will go right in the dishwasher. Impress your guests and serve up something delish in the serving bowls, or use the dip serving pieces to create an instant party! The Kitchen Lobster Party Pleaser Set! Comes with a 15" platter and 4 matching appetizer plates. 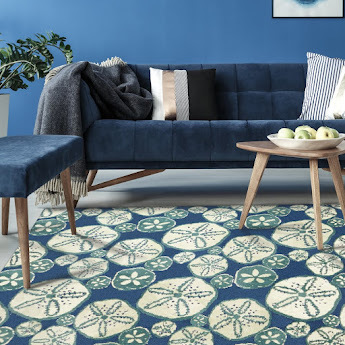 Simply perfect for a small party! 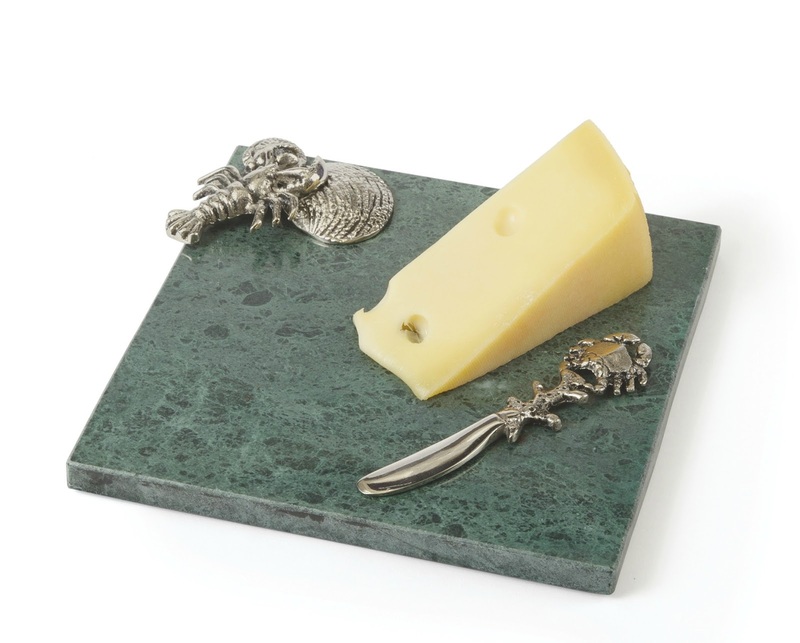 Love these Wyatt Marble Cheese Boards! 5 New! 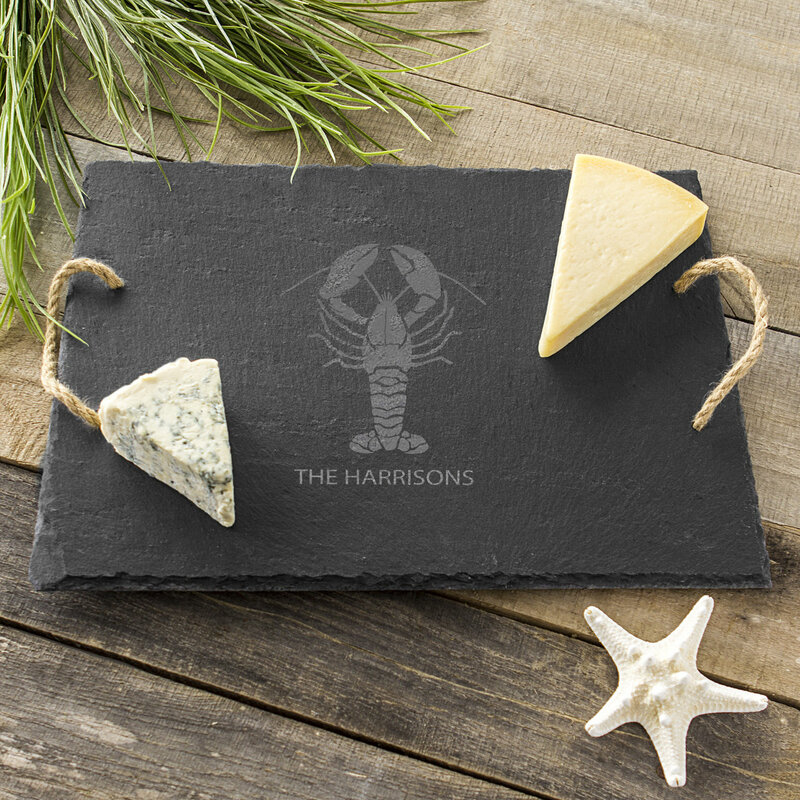 Personalized Lobster Etched Slate Serving Tray/Board. 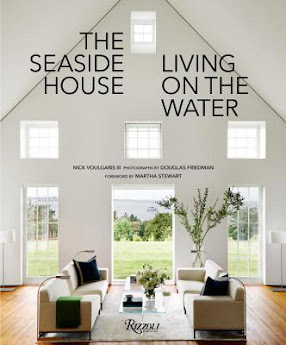 Just the right gift for your own home, or to send to your favorite lobster gourmet friend. 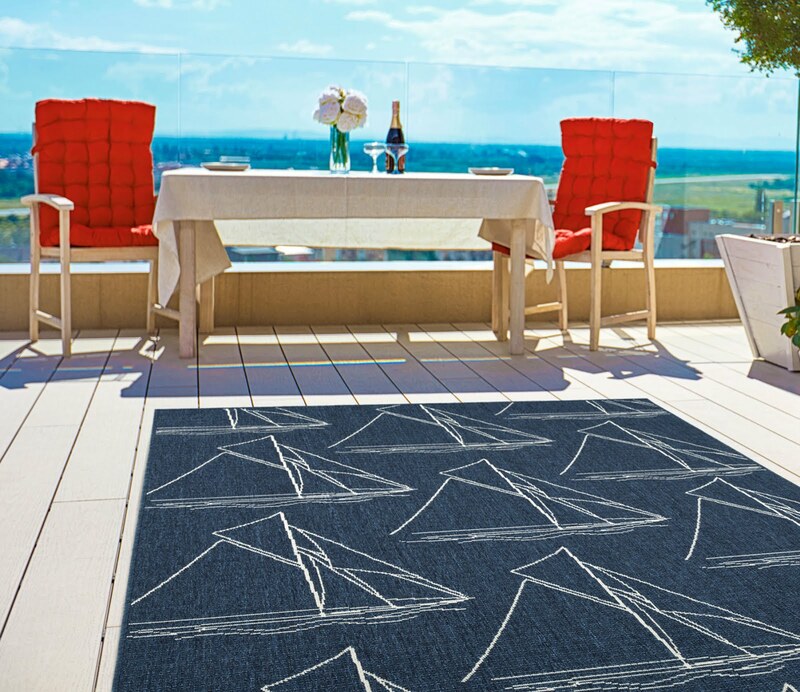 Can be personalized with up to 15 characters - so this is your opportunity to get creative; add a cottage name, a family name or even a special occasion with a date. 6. 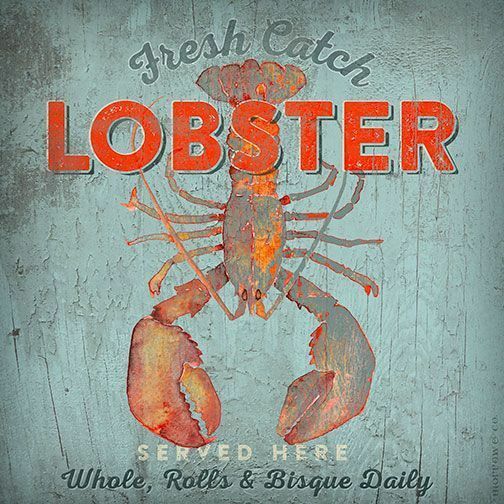 Lobster Kitchen Art - Fabulous Made in America pieces! 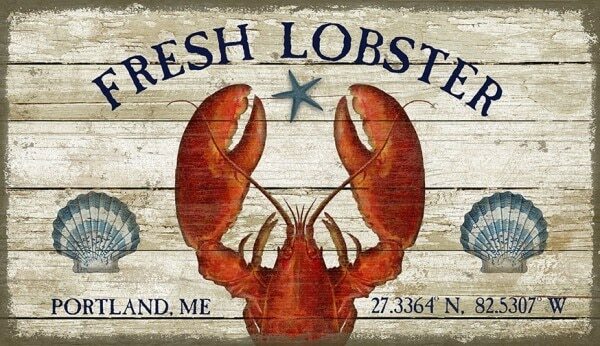 Fresh Lobster Custom Art Sign - add a name, a location or whatever. Totally your choice! 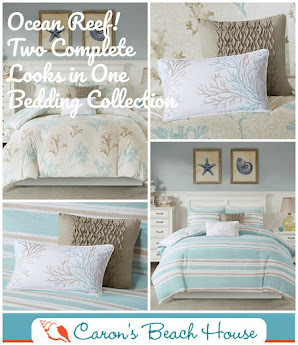 Add a pop of color and Fresh Catch design with this piece from Artist Anthony Morrow!